This site demonstrates where Enterprise Area status draws together several bodies, both public and private, to deliver infrastructure (North South Spine Road) leading to delivery of a significant mixed –use scheme in the eastern portion of Junction 21 Enterprise Area minutes from M5 motorway junction. The various phases of Locking Parklands are in total expected to provide around 3,450 homes and some 5,000 jobs, primarily in professional services, skilled light industry and manufacturing. 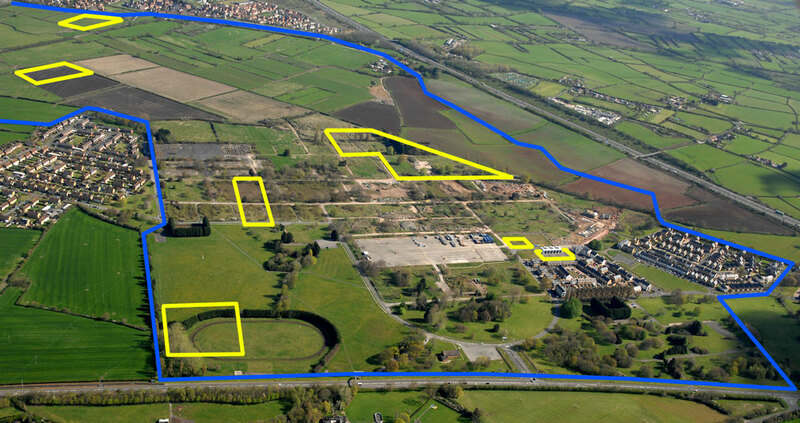 Locking Parklands is being developed by consortia comprising Mead Realisations, St Modwen (on behalf of the Homes and Communities Agency) and North Somerset Council. In the first phase St Modwen have created 5,800 sq ft of BREEAM excellent office. As the community builds out a further 40,000 sq ft of office and light industrial will be built in the St Modwen element alone. Further commercial phases will be built post 2017 to coincide with the completion of the Local Enterprise Partnership supported strategic North South Spine Road.